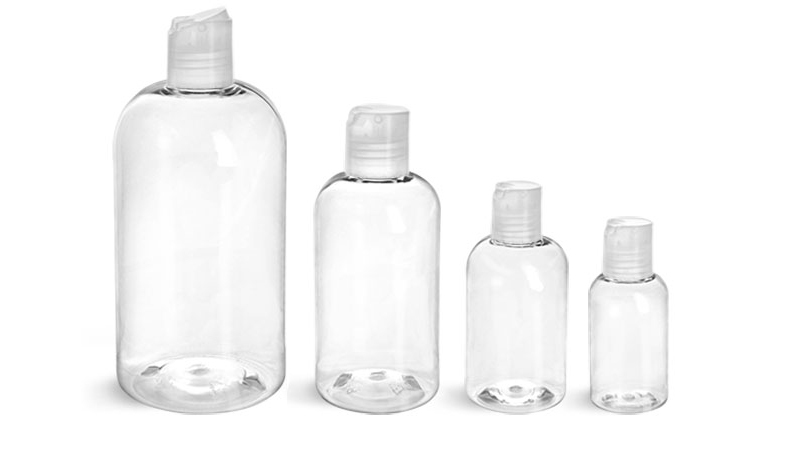 Cosmo round bottles are tall and slender, making them a stylish option in travel shampoo bottles. With a light squeeze, dispense travel size shampoo and conditioners with these convenient black disc top caps. 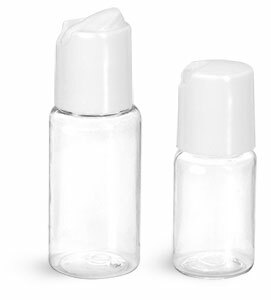 The caps dispense through a small orifice, reducing messes and spills while on the go. 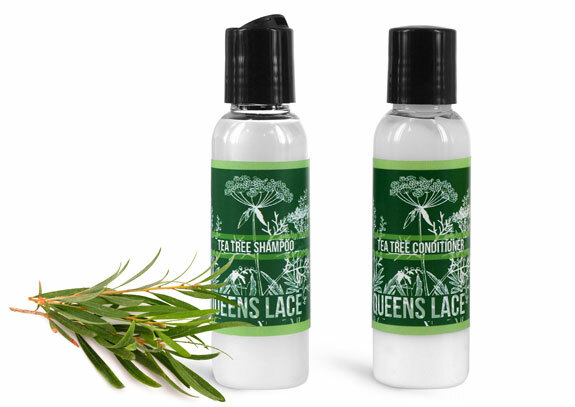 Choose plastic travel shampoo bottles with disc top caps for personal care product lines to create travel toiletry sets and showcase samples.